Interested in Amazon Private Label with less upfront investment? Looking for the ability to have fully-researched products on the shelf in less than two weeks with less risk? Sound too good to be true? It’s not! 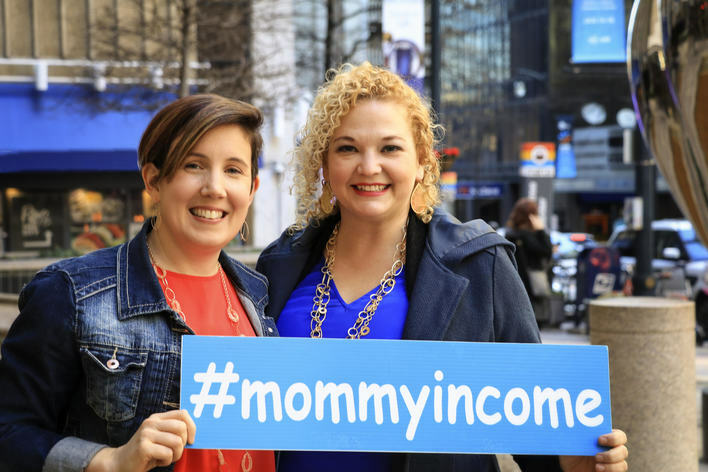 Kristin Ostrander and Amy Feierman from Mommy Income have built seven-figure businesses that are living proof that wholesale bundles (aka poor man’s private label) are a sustainable growth strategy for Amazon sellers both big and small. Kristin and Amy have more than 20 years of e-commerce selling experience with the bulk of their time focused on Amazon. They’ve done it all, from book sales and retail arbitrage to online arbitrage, wholesale, and private labeling. They are passionate about sharing what they’ve learned to help other sellers succeed. To soak up more information, subscribe to The Amazon Files, their weekly podcast where they share their Amazon selling expertise with tips, fast tracks, and action-based strategies. In today’s post, they share what wholesale bundles are, why MerchantWords is their top tool of choice, and why bundles should be part of your business model when selling on the Amazon marketplace. Before we dive into why we love MerchantWords, let’s close the knowledge gap and share what "wholesale bundles" are and why they are an amazing asset to ANY Amazon business. Wholesale bundles are highly complementary products sourced from wholesale vendors and sold together in a way that provides both convenience and value to the buyer. Why do wholesale bundles sell well on Amazon? To understand why bundles work, Amazon sellers need to make a mindset shift away from data-based widget inventory purchases to focus on who will purchase the product. • Who is looking for this type of product? • What will it be used for? • When will the buyer use the product? • Why does the buyer need the product? • How will the buyer use the product? • What value does your product bring to the customer that other products are lacking? By asking these questions, you're getting into the head of your buyer. This process helps you provide the exact product your customer needs to solve their problem. Once you do that, a whole world of possibilities can open up to you. 1. THEY HELP CUSTOMERS SOLVE A SPECIFIC PROBLEM OR NEED. For example, a customer has a hamster that keeps chewing holes in her cage. They need a solution to their pet’s bad habit like this bundle. It provides two different types of chew sticks so the customer’s furry friend has something else to sharpen her teeth on instead of the sides of her cage. Problem solved for a reasonable price and delivered in two days or less with Amazon Prime. Creating bundles that solve problems means creating bundles that sell. 2. THE CONVENIENCE OF ONE-CLICK PURCHASING. Speed, convenience, and a vast variety of product options are why Amazon has become one of the largest, most successful online marketplaces in the world. For many Amazon customers, time is money. Shoppers are busy and don’t want to spend their precious time going to the store. Bundles make the purchasing process even faster and more convenient for the buyer by providing all the products a customer needs into one a one-click transaction. The bundle you provide eliminates the need to spend extra time hunting down all the items they wanted separately. One click and they’re done! Why do wholesale bundles make sense for Amazon sellers? We’ve shared why wholesale bundles are great for buyers. Let’s talk about why they are also great for Amazon sellers like you. When the data tells you and 30 (or more) of your selling friends that an item will be a great seller guess what happens? What originally had one or two sellers now has 30+ sellers and your rotation in the Buy Box is a very small percentage. When there are a lot of sellers offering the same product the probability is higher that the product’s price will start to rapidly decrease. The high competition and increasing number of offers cause some sellers to panic. The panicked sellers drop their price to contend for the Buy Box. Consequently, the price drops rapidly and no one makes any money. Wholesale bundles allow you to own the Buy Box 100% of the time without the risk of competition decreasing your price or your profit. When done correctly, you’ll be the only seller on your listing. If you are primarily a retail arbitrage seller, we feel your pain. Physically driving from store to store to find product often for hours and days at a time can be both time-consuming and exhausting. It makes for a long day when, after you’ve been out in stores sourcing all day, you still need to go back home to prep and ship that inventory into Amazon. Retail arbitrage is a great way to get your feet wet to figure out if selling on Amazon is a good fit for you. However, the bigger your business grows the harder it is to scale. You will need to take longer sourcing trips, visit more stores and constantly increase the number of products you buy. You can quickly lose the freedom and flexibility you’re looking for by continually increasing the time it takes to find more quality products. When working with wholesale bundles you don’t need to be out in the field in order to scale your sales volume. When you purchase products from wholesale vendors you can send emails to reorder more product, eliminating the need to drive from place to place to scrape up enough product to sell that week. This will free up more time in your business to find a more sustainable source of products (wholesale vendors) and allow you to scale faster. What do you do when your local Target, Meijer or Walmart store has been sold out of your top-selling products for weeks? You work harder to find replacements. Which means more time spent sourcing. Wholesale bundles give you the flexibility to work anytime from anywhere. You don’t need to stick to the operating hours and inventory levels of brick-and-mortar stores. Why MerchantWords makes Wholesale Bundles possible. Honestly, we could talk about MerchantWords ALL day, and not just because we’re here, on their blog. Anytime we're asked about MerchantWords and how it's helped us, we geek out. MerchantWords is the number one tool we use throughout our research process. It provides us with keyword related data that allows us to validate our product bundle ideas and write listings that speak to our customers using their own words. This information is critical to bringing wholesale bundles to Amazon marketplace that will actually sell. Did you build yourself a retail arbitrage prison? Are you competing with the masses on single unit wholesale items while racing to the bottom of the pricing barrel? Start using MerchantWords to help you validate profitable product bundle opportunities and take your business to a place you never thought possible. Do the work that other sellers aren’t willing to do. Whether you’re a new seller or an experienced seller looking to add some diversity to your business, Kristin and Amy are passionate about helping other sellers grow and are ready to share their wholesale bundle strategies with you. Access their Wholesale Bundle System HERE.